So last week I wrote about the benefits of learning Adobe InDesign, today I’m going to talk about Adobe Illustrator. Again this is probably a programme you have heard of but maybe unsure of its actual uses. 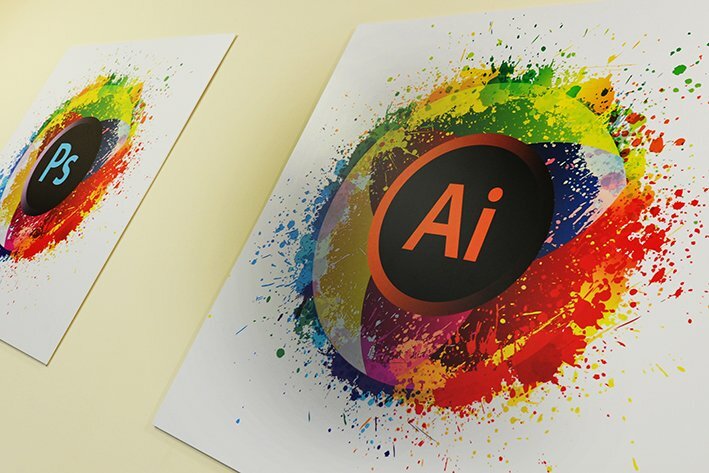 Adobe Illustrator is used for creating a variety of graphics you can produce logos, detailed illustrations, leaflets, web page designs and many more. Unlike Adobe InDesign it is built more for creating graphics and artwork and doesnt have the power to handle multiple page documents like Adobe InDesign does. So this is the big one, everything we create in Adobe Illustrator is a Vector which means there are no pixels involved at all. The graphics are made out of paths and anchor points which make them saleable to any size with no loss of quality. This is why all companies should have a vector version of their logo, with the vector version you can put it on the side of a building or on your letterheads and you will see no loss of quality. There are other vector based programs on the market but Adobe Illustrator is the industry standard. As with all the apps in the Adobe Creative Cloud they work very well together, you can place your vector Adobe Illustrator files in to Adobe InDesign and swap between the two Apps very quickly and easily. 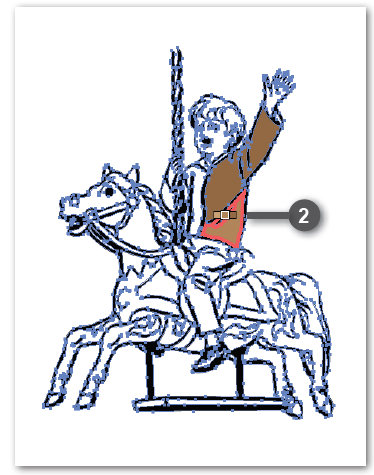 You can also embed your Adobe Illustrator files in to an Adobe Photoshop layer and keep the vector qualities. Adobe Illustrator files also work seamlessly with Adobe After Effects, you can import your files in and animate them in a variety of ways and still keep the vector qualities of the Adobe Illustrator file. When creating layouts or stationary designs in Adobe Illustrator there will become a time when you want to visualise more than one page of a website or create an Adobe Illustrator file that has Letterheads, compliment slips and business cards all kept together. 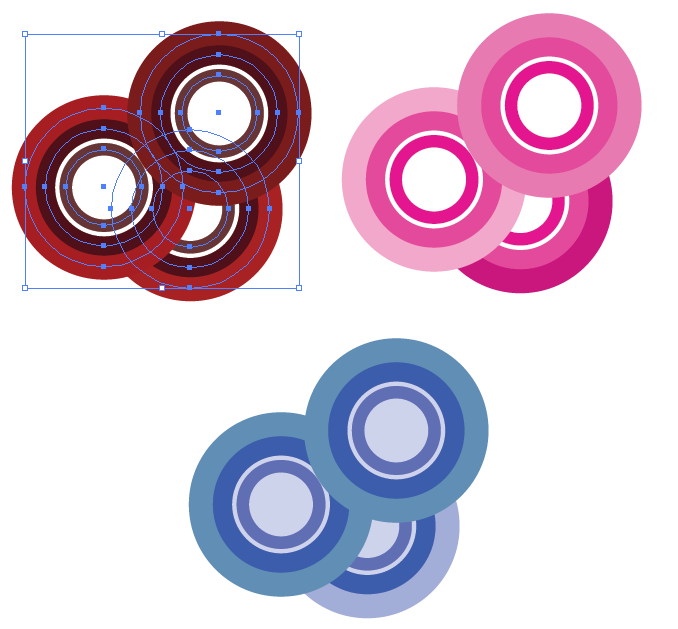 With Adobe Illustrator you can quickly and easily create a number of different sized art-boards all in the same document. A few weeks ago I produced a video tutorial on how to recolour artwork in Adobe Illustrator, its a really great quick and easy tool for creating different colourways of your designs. You may wish to show a client 5 different versions of the same logo using different colour themes Adobe Illustrators Recolouring Artwork tool is an absolute godsend in these situations. So there may be times when you have a graphic or a logo that is pixel based and just by placing this in to Adobe Illustrator does not make it a vector. By using Adobe Illustrators Image Trace tool it will automatically turn your graphics in to vectors that can be scaled to any size. It can be a little hit and miss but when you use it alongside the variety of other tools that Adobe Illustrator has you can quickly and easily create vector files from poor quality pixel based images. So here are just a few examples of what we use Adobe Illustrator for, we can also create info graphics, 3D graphics and a lot lot more! 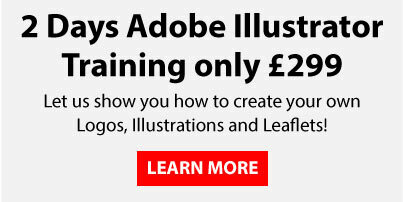 If you are interested in getting up to speed with Adobe Illustrator why not have a look at our Adobe Illustrator Training Course or if you would like to have a quotation from us to come to you and train in your own offices just fill out the form below and we will get back to you with more information and a no obligation quotation.